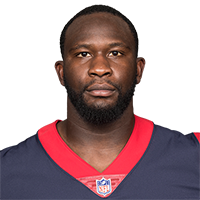 The Texans signed Adams to a reserve/future contract on Tuesday. Analysis: Adams joined Houston's practice squad in early October after spending his first two years in the league with the Giants. A 2016 sixth-round pick, Adams has 24 receptions for 214 yards and a touchdown in 29 career games. He'll look to add depth to Houston's young tight end group in 2019. 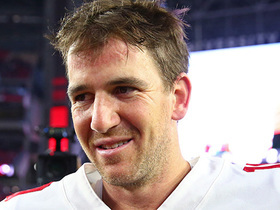 New York Giants quarterback Eli Manning passes John Elway for 6th in all-time NFL passing yards with 51,491 yards. 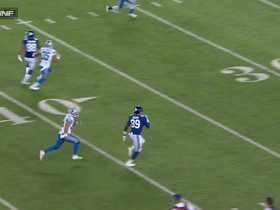 New York Giants QB Eli Manning passes deep to tight end Jerell Adams for 38 yards. 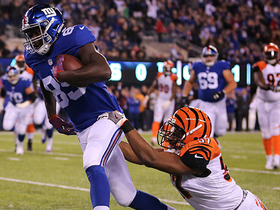 New York Giants QB Eli Manning strikes a pass to tight end Jerell Adams for the 10-yard TD.